Last week I had the opportunity to attend the Co-Production Consulting Workshop – Crossing Borders Cinema to present the documentary project ‘Equilibrios‘ and it was a wonderful experience. 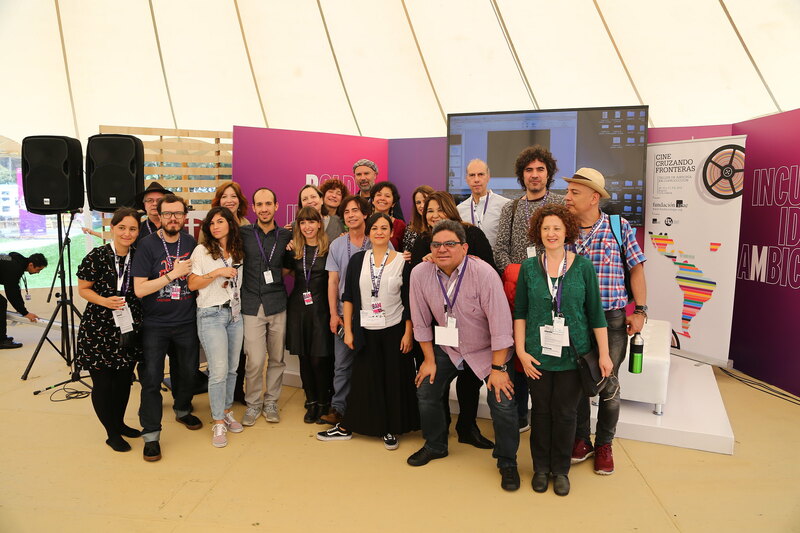 The workshop was held in the city of Bogota, as part of the Bogota Audiovisual Market activities. It was the first time I traveled to Colombia and the first time I attended an audiovisual market and I can not be more than grateful for the opportunity to share such intense days with great professionals from Spain and Latin America. Both the people who mentored us and the colleagues who had some beautiful projects, have been part of a very enriching process for the documentary, which made giant steps from the first day I presented it until the pitching session. Thanks to the SGAE Foundation for this opportunity. ‘Equilibrios‘ has an exciting way to go, what a joy its first steps were in Colombia. I share a BAM photo of the last day, when we received the workshop certificates. After the nerves prior to pitching, we just wanted to celebrate the meeting. ← Equilibrium begins its own way!